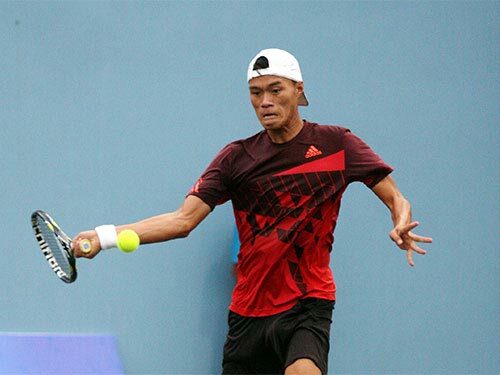 HA NOI (VNS) — Pham Minh Tuan of Da Nang beat Truong Giang Thanh Alexandre of HCM City in the over-18's singles of the quarter-finals of the National Men's Tennis Championships in Dak Nong Province yesterday. Tuan won 7-5, 6-3. In the other quarter-final matches, Vu A Term of Binh Duong beat Vo Van Toan of Da Nang 6-2, 3-6, 6-2; HCM City's Pham Huu Vinh crushed his teammate Le Quoc Khanh 5-2 (retired) while Le Cong Tien of the Military lost 6-4, 6-2 to his teammate Tran Hoang Anh Khoa.